The shadowed Halls of Ogul-Duhr slumber 'neath the cold, harsh, jagged peaks of the Goblin Mountains. Once the lair of a proud race of mountain dwarves, the Halls are now almost in ruin. Since the dwarves left the mountain, adventurers have explored the deep caverns in search of dwarven gold, and some have found great riches. However, recent travellers' tales speak of an evil Gorgon that has claimed the Halls of Ogul-Duhr for her own, turning to unliving stone anyone foolish enough to enter. Still, rumours persist that the Halls are rich in gold, silver and gemstones, discarded by the dwarves. Some say that there are also magical dwarven weapons and armour in the deepest caverns. The Halls await you, filled with treasure and mortal peril. This solo is aimed at beginner warrior characters with no more than 20 Combat Adds. Magic-users may enter, but are handicapped by the arcane enchantments of the caves and may cast only Take That You Fiend and Vorpal Blade spells. Equip yourself with some scrap paper for notes. Important: scribble down the paragraph numbers as you journey, as you may sometimes need to return to a previous paragraph. 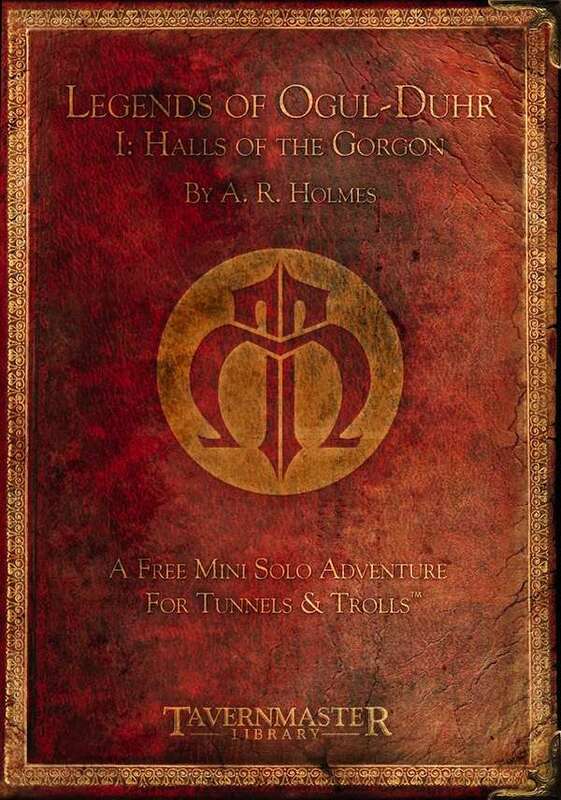 Another mini-solo adventure for Tunnels & Trolls from Andy R Holmes and the Tavernmaster team. Edited to be compatible with version 7/7.5 of the T&T rules this classic solo is once again available. fun but stupidly hard for level one characters who don't start off with a lot of good gear.